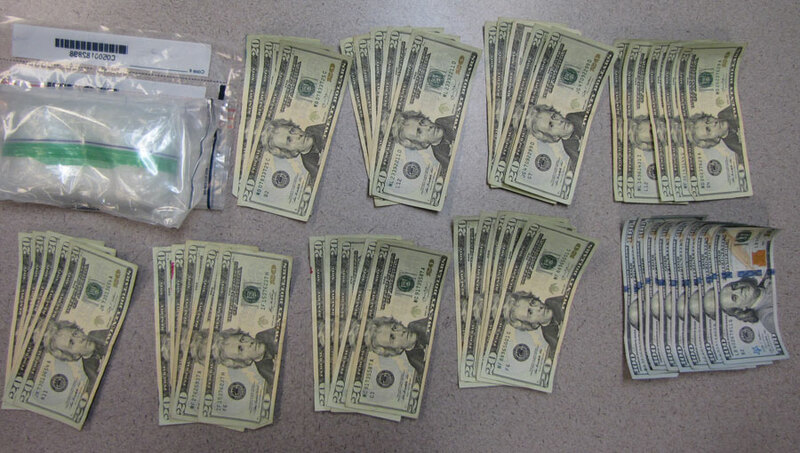 Money and drugs found by police during a traffic stop. PLYMOUTH — Marshall County Sheriff’s Department, Marshall County Drug Task Force and Plymouth Police Department participated in a joint operation in the Plymouth area Tuesday, May 8. That joint operation resulted in confiscating 147 grams of suspected methamphetamine and over $2,000 in cash. Nathan R. Yeager, 34, Bremen, was arrested during a traffic stop on Western Avenue at the intersection of Pilgrim Lane, Plymouth, at 12:53 a.m. Tuesday, May 8. He was detained at the scene. During the stop Marshall County K9 Officer Andrew Wozniak responded and his partner, Irok, was deployed around the vehicle. Irok made a positive indication on the vehicle Yeager was driving. A probable cause search was made of the vehicle and yielded suspected methamphetamine paraphernalia, approximately 147 grams of suspected methamphetamine and over $2,000 in cash. The street value of the methamphetamine found is approximately $15,000. Yeager was transported from the scene where he was booked in the Marshall County Jail for possession and dealing in methamphetamine, a level 2 felony. His bond was set at $100,000 cash.